AARP Income Tax Return Preparation, Thursdays, February 7 to April 11, 9:30 AM to 3:30 PM. Walk-in only, first come first served. Please bring all of your information and a copy of your 2017 tax return. 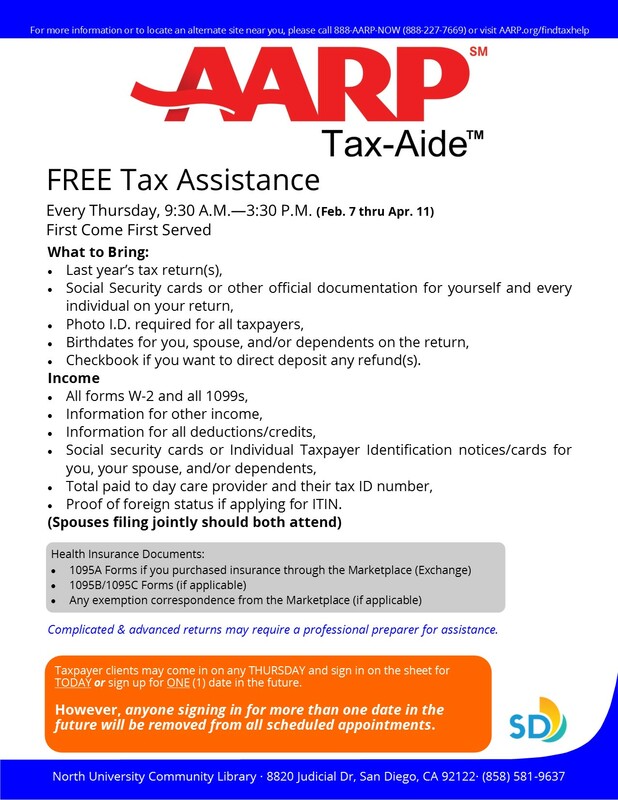 Click on attached AARP Tax-Aide flyer for additional information. Concert of Romantic Music; Sunday, February 10 at 3:00 p.m. Adrienne Nims plays a medley of romantic music. Presidents’ Day, Monday, February 18: Library closed; book drops will be open. Chess Club; Mondays at 3:00 p.m. Casual public chess meet open to all ages and skill levels. Knitters’ Circle; Thursday, February 7 & 21 at 1:00 p.m. All yarn enthusiasts are welcome. Fiction Fanatics Book Club; Saturday, February 9 at 10:00 a.m. Title to be discussed in December is The Mermaid Chair by Abraham Verghese. Guided Meditation; Sunday, February 10 & 24 at 12:30 p.m. Guided meditation followed by tea. A Cup of Creation: Art Classes for Adults; Sunday, February 10 at 1:00 p.m. Each class will utilize a different art technique to inspire the creation of unique pieces. 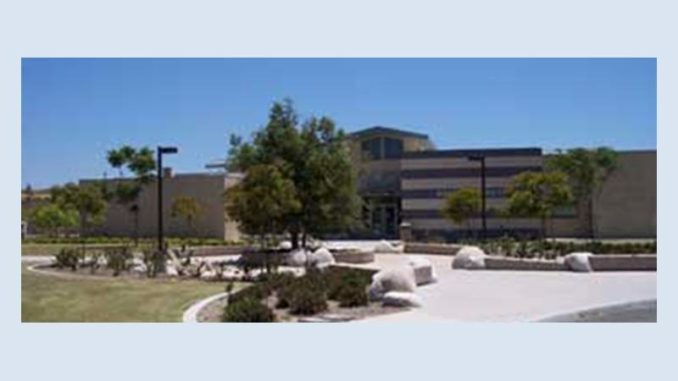 Participants are asked to bring a small sketchbook to class; all other supplies provided. Babies and Books; Mondays at 10:00 a.m. This lap-sit storytime will introduce a love for books by using song, movement, rhythm and rhyme. Recommended age: Birth – 2 years. Music and Movement; Mondays at 11:00 a.m. at the Nobel Recreation Center. Sing, Dance and Play! Children enjoy songs and movement activities that build motor skills and increase independence. Kids’ Art Studio; Wednesdays at 12:30 p.m. A fun art project every week! No registration required. Recommended for grades K-6. Preschool Storytime; Thursdays at 10:30 a.m. Stories and songs in English promote early literacy skills. Fun with French; Thursdays at 11:15 a.m. Explore the French language through song in this bilingual program. Sign Language Storytime; Thursdays at 12 noon. Baby Sign Language Basics author, Monta Z. Briant puts on a super-fun sign language performance for babies through preschoolers. Includes songs, fingerplays, books, fun toys and props, and bubbles! Chinese Storytime; Saturdays at 11:00 a.m. Ms. Nancy sings, dances, and reads books in Chinese and English. Yoga Storytime; Friday, February 8 & 22 at 11:00 a.m. Stretch both your body and your mind in this unique program that combines stories, songs and simple yoga poses. Families enjoy healthy fun and bonding. Please bring your own mat. Tiny Tots PJ Storytime; Tuesday, February 11 & 25 at 6:30 p.m. A fun evening storytime with music.